High quality food is an important piece of the jigsaw when selling tickets and raising funds for charitable events. We work with a number of local and national charities such as Isabel Hospice, St Elizabeth’s, Red Cross and The Rotary Club, providing support where possible whether it be baking cakes and making tea or full scale catering for a Charity Ball. At Hopleys Café we welcome local community groups and also offer a friendly stop-off for those on their own. 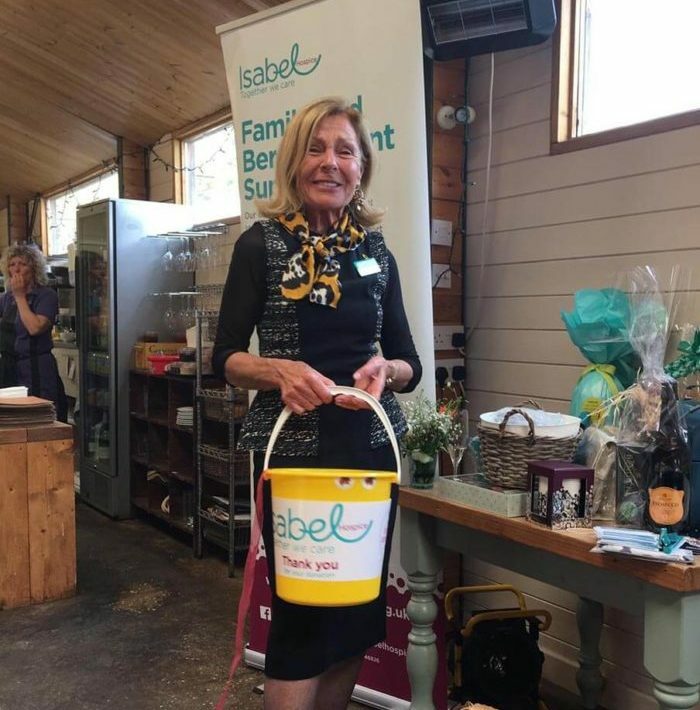 Here is local Isabel Hospice fundraiser and organiser Renée Friend at our recent lunch at Hopleys Café. We were delighted to host a great fundraising lunch for Isabel Hospice at Hopleys Café. Guests enjoyed welcome drinks and canapés and then a two course lunch was followed by an interesting talk and raffle. We raised over £1,100 at the lunch and we are looking forward to supporting Isabel Hospice fundraising efforts in the future. Had an excellent birthday lunch here. Food very good staff friendly and efficient. Absolutely brilliant. Went for a quick lunch. Had the beef shin which was amazing. Followed by the caramel brownie. Cannot fault anything. Staff very friendly. The only reason I wouldn’t review this place like it deserves is because it’s so perfect I want it all to myself. Great breakfasts and in the summer the best location for sitting and eating them! I had a marvellous Sunday lunch at a very reasonable price. Staff are very efficient and friendly. The food and service were excellent. We will definitely be returning regularly! Great place to eat with good wholesome food, freshly made. Quirky atmosphere with barn like setting but very informal and friendly. Nice touch is all the chairs are different. Once you try it, you’ll keep coming back. Lovely setting with equally lovely food served with a smile. Please get in touch if you have any questions about our food, cafés and catering services, or would just like to give us feedback from your event or visit. We look forward to hearing from you!